It’s not just what’s in the jars, but the jars themselves that make my products special. Jars have been a huge part of my transition into clean eating and a healthy lifestyle. So much so that my family calls me a “joarder,” aka jar hoarder. I store all of my dry ingredients such as nuts, seeds, legumes and gluten-free grains in mason jars, which helps me keep my counter and cupboards organized. I also use glass jars for storing and freezing soups, sauces and spreads and for refrigerating juices, nut milks and dressings. 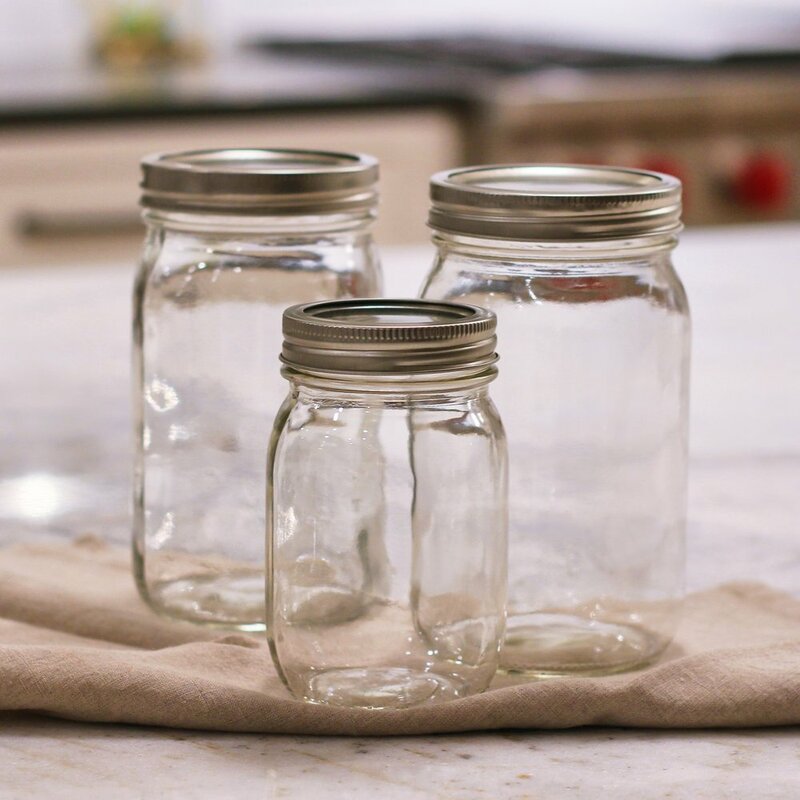 I chose to use high quality mason jars for Jen’s Jars not only because I wanted to share this tool with those seeking a healthier lifestyle, but because they offer a far more sustainable packaging option. The labels are specially designed to peel off without leaving that annoying sticky residue and are made of a recyclable plastic film. They peel off best when jars are at room temperature. Save and reuse your jars in fun, creative ways or recycle them through me for a discount on your next order! It’s a win-win! For each jar returned (big or small), you will receive $1 off your next Jen’s Jars purchase! Jars can be returned to Jen at farmers markets or in-store demos. You can subscribe to email updates for specific dates and times. Check back for more inspiration coming soon!